Bluetooth makes it easy to group and control lighting both in the home and in the public environment. The flexible Bluetooth units are available in master and slave modules which are paired to other Hytronik components via a mesh network. An app interface for configuring and controlling the luminaires therefore makes the units user-friendly for both users and electrical installers. • Sensors with Bluetooth technology for more flexible programming and grouping for luminaire manufacturers. • Dimmers with Bluetooth technology when upgrading existing lighting systems for both private and public rooms. The comprehensive range of components and control options from HYTRONIK makes it easier to develop energy-saving products and intelligent lighting solutions such as Human Centric Lighting. Many of the products we supply are customised in one way or another to enable functions that are relevant to each particular case. Our combined R&D options mean that we can often offer or adapt a component or solution which allows you to develop a product that lives up to your expectations. 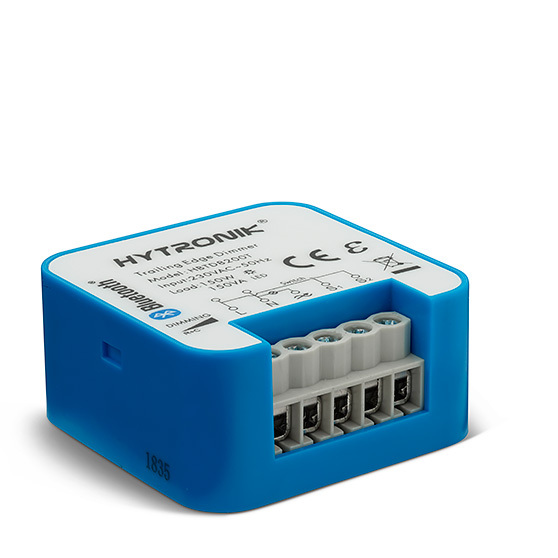 Hytronik has developed a series of products to apply wireless Bluetooth technology in the development of luminaires. Examples of products are power supply units for DALI or 1-10V, PIR and HF sensor antennas and receiver units. All with built-in Bluetooth technology. The combination of power supply + Bluetooth sensor is designed to fit into both round and linear luminaires with limited space. The power supply can easily be hidden behind the LED board or the like for a shadow-free installation. Hytronik has developed a series of products to apply wireless Bluetooth technology when updating or installing a new lighting system in the home or in a public environment. The products can replace the traditional rotary dimmer, control your DALI or 1-10V luminaires or control your floor lamp with an on/off switch. The units fit into the flush-mounted box behind the switch, wall socket or lamp socket. 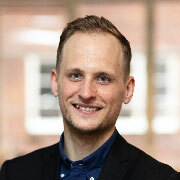 The products are connected together and create their system via a mesh network. 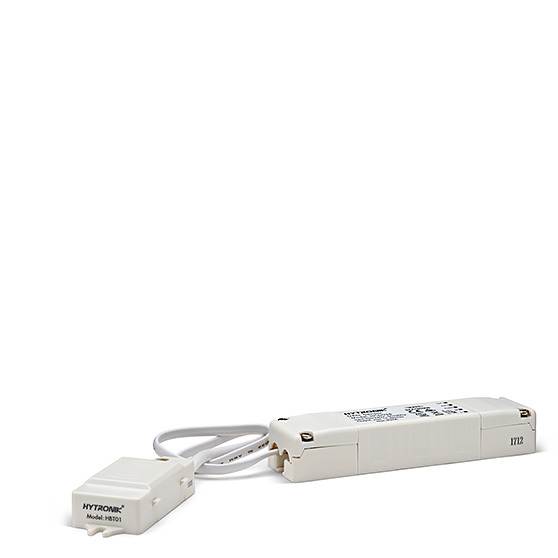 It is also possible to connect to a spring-loaded switch for manual control of your lighting. 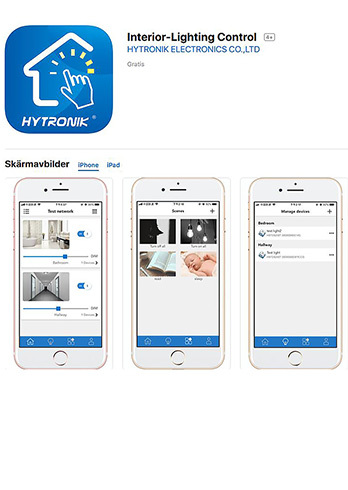 Hytronik’s new apps for Android and Apple’s iOS enable new cost-effective upgrades to be implemented on existing systems. You choose how to configure your mesh network via the apps. You have full control over the lighting via your smartphone. The app user interface has a simple design in both settings and operation for a clear plug-and-play experience.